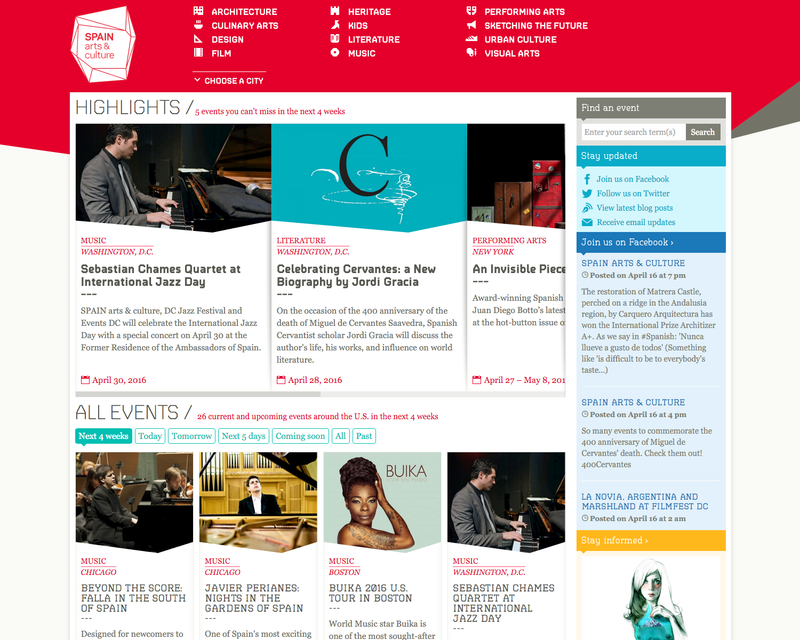 The official website for the promotion of Spain's arts and culture in the United States. SPAIN arts & culture features the most cutting-edge works of international renowned Spanish artists in fields such as design, urban culture, architecture, visual arts, film, performing arts, literature and music. This program is organized by the Embassy of Spain’s Cultural Office in Washington, D.C. and its network of General Consulates and Cervantes Institutes in the United States together with the Spain-USA Foundation.